Henry A. 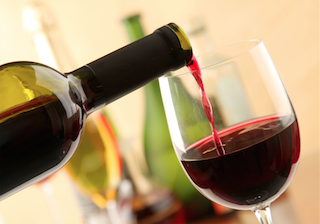 Fox Sales is dedicated to being the leading distributor of wine in Michigan. The Fox Team offers a wide assortment of products and services to our customers. The company is a full service provider in the wine category including the ever complex Fine Wine segment. As the Fine Wine segment continues to grow, we continue to take a consultative approach with our customers. Our talented team includes Certified Specialists of Wine and Sommelier trained professionals that expertly represent our boutique portfolio across the state. Through our team of fine wine sales experts and our vast portfolio of boutique products, Henry A. Fox Sales has positioned itself as Michigan’s premiere fine wine distributor. The members of our fine wine team have extensive experience in both restaurant and retail environments and a clear vision that includes growing our fine wine business, engaging our key fine wine customers, and training our customers on fine wine.